Club 420 - Learn to Race is a intermediate course that is the next step up from 420 Camp. The classes run Monday- Friday 9am- 12pm. Participants learn racing fundamentals, including using of a spinnaker. The course will get the sailors ready to join our High School Racing team or BMRT in the fall. ​This is the perfect next step for young sailors looking to continue their fun at GLSS. This program takes over where 420 Camp leaves off and gradually introduces the fundamentals of racing in a fun self relying and productive environment. Sailors rig by themselves, launch themselves and sail with just their crew. 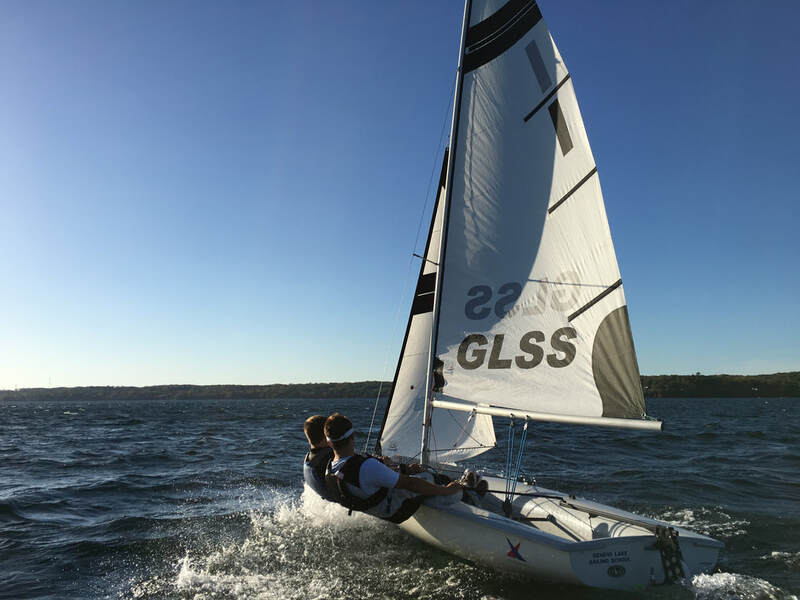 Lessons provide a repetition of necessary upwind sailing skills and teach performance boat handling in all points of sail including flying a symmetrical spinnaker. The program is offered in 4 two-week sessions and can be combined with the Teen Reachers in the morning.